Marissa Webb knocked it out of the park with her debut collection for Spring/Summer 2013, don't you think? I'm a sucker for black & white looks, but there's no shortage of color in the collection. Check out two more of my favorite looks after the jump. 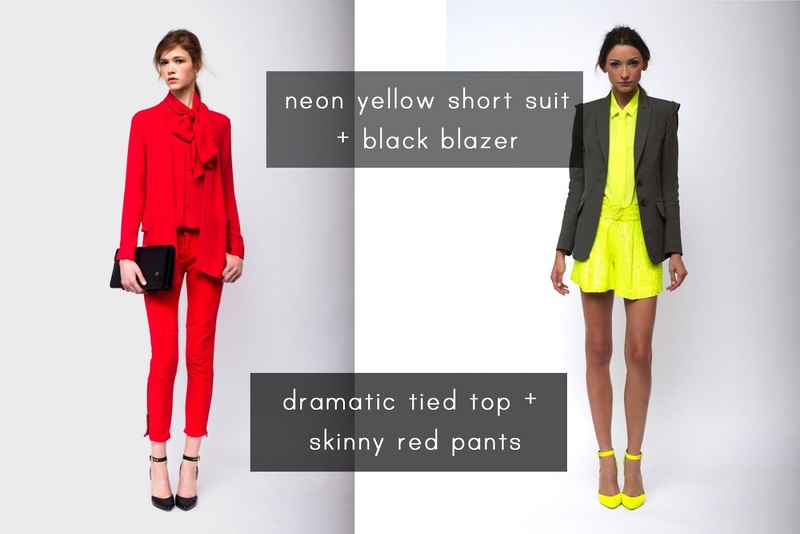 Really loving the neon yellow w/the black blazer! Stunning! the pleats with leather kills me- such a good combo!